So, what really happens to your computer when you are encountering a driver Power State Failure in Windows 8? A few things – You may start discovering that your computer is not running smoothly. The most obvious sign is when it starts to display the error “Windows 8 Driver Power Failure”. The next time around you will be faced with the dreaded Blue Screen of Death as you try to start your Windows. The worst thing about this state of affairs is that it can mess up any data you have not yet saved. One option you will have is to reboot the computer. If the problem is related to the hard disk, you must start by running a disk check. The aim of checking the disk is to find out if there are any bad sectors on the disk. Start by clicking the desktop shortcut, My Computer. When this is accomplished go and click a disk drive. Inside the window that opens you should select Properties. This will open a Drive Properties dialog. On the prompts, click the Tools Tab, then click the Check-Up button when you get to Error Checking. At this point, Windows 8 will attempt to find the problems and resolve them. Sometimes the error Power State Failure in Windows 8 can be a consequence of settings that are either incorrect or incompatible. This is when a restore of the CMOS may be required. To start the restore, start by rebooting. To do this press the F2 key continually. Follow this by selecting the exit menu. On this menu, move to the bottom and select “Restore Defaults” and then press the enter button. At this point, Windows 8 will restart. The registry is an important part of the operating system. Therefore, it has an effect on the way your computer operates and how stable it is. The settings relating to the operating system’s software, user preferences, and settings are stored in the Registry by default. New programs can be installed into the registry and old ones can be uninstalled. However, faulty programs can modify your registry and cause problems. Problems in the registry can be solved by doing a review of the programs you have there and getting rid of those that cause problems. The wrong programs may mess up with your drivers and temper with the effectiveness of your PC. Trying to manage all these issues by yourself can be a cumbersome process. Some of the available software is the DriverAssist from SafeBytes. 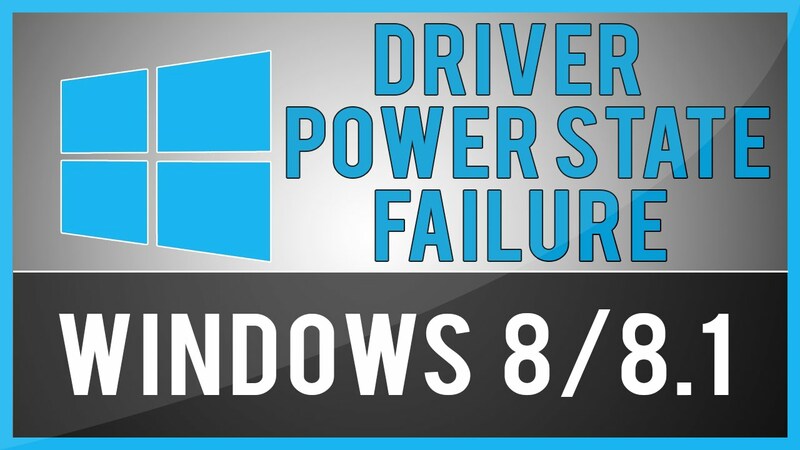 Your computer’s Power Plan could be another culprit for your driver Power State Failure in Windows 8. To fix this you need to adjust the power settings on your computer. You will need to define the monitor display together with the timeout for entering sleep mode. Windows should then be able to automatically identify the problem and fix it.